Remember when video content was supposed to kill the written word and create a more visual web? In a digital age where time is the new currency, there is an increasing pressure to take advantage of every second. As a result, it’s the rise of the human voice and evolution of podcasts that is now taking center stage. As we increasingly turn to virtual assistants such as Amazon Alexa, Siri, Microsoft Cortana, and Google, it is already becoming easier to search for information using our voice. Mainstream users are already getting comfortable with speaking to their devices rather than tapping away on a physical or virtual keyboard. How we retrieve and digest, information is evolving. Although Apple first added podcasts to iTunes back in 2005, we are only just beginning to understand the value of the human voice. But, why should we be so surprised? Humor, compassion, and empathy are just a few ways in which we can connect with each other both authentically and emotionally by the tone of our voice. A Skype conversation can be broadcast across the globe within minutes of ending the call. Engaging with the audience and unwittingly inspiring someone on the other side of the world by beaming your voice into their ears is now possible for anyone. However, its the portability and ability to listen to a podcast while working, exercising, commuting or walking the dog that is most appealing. Despite having access to almost any album or song at the touch of a button, it seems that users are beginning to tire of their top 20 music playlists. As Spotify continues to add more podcasts to their platform, there are already indications that we are starting to yearn for more than another friendly hit on our travels. A podcast enables the listener to level up and improve their knowledge and understanding of almost any subject while waiting for the 07:18 train. But, how can the medium itself evolve? True crime podcast “Up And Vanished” achieved over 140 million downloads to become one of the biggest shows of 2017. Predictably, the team recently announced that season 2 is coming in April 2018. But, with the addition of live events and traditional radio in partnership with Cadence13. Rather than merely downloading an episode, audiences are urged to engage and join in debates about the show on the radio too. By fusing traditional broadcasting and podcasting, Cadence13 appear to have found the secret sauce to amplify and build audiences. Cadence13 is making a name for itself as the Netflix of podcasts. The media company already develops and distributes some of the most listened to shows in the world such as Pod Save America, The Vertical Podcast with Woj, Origins and Pantsuit Nation. The partnering with one of the most anticipated podcasts of 2018 is another step in elevating the industry overall. Thought leadership is no longer just about written articles and blog posts. 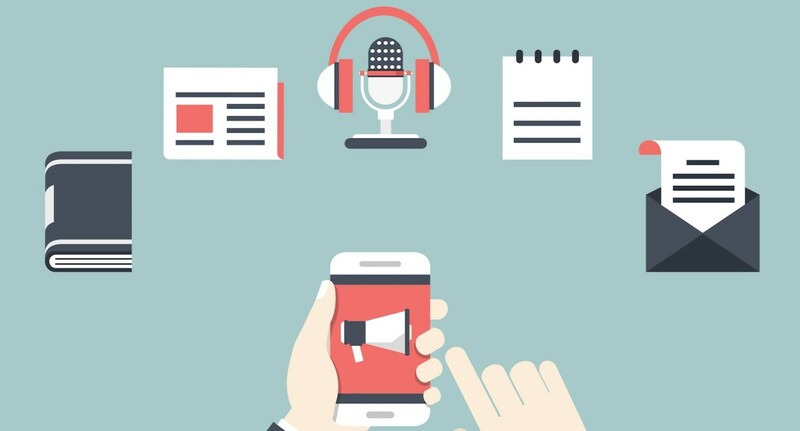 Audio content allows users to feel like they are engaging directly with their host. Podcasts are finally busting out of the constraints of iTunes and available on other platforms such as Amazon Echo, Spotify and even in car entertainment systems. But, will this be enough to make the podcasts go mainstream? The fact that I don’t have to explain the medium to my parents could be an indication that they are more popular than many realize. Despite advances in technology that allow us to consume vast amounts of information during every hour of every day, very little has changed. Sure, you could argue that books, magazines, radio, and television have all evolved into new online channels. But we are all digesting information in written, audio and video formats like we always have. We all process information differently, and this highlights the importance of blogging, vlogging, and podcasting. Essentially, we are all raconteurs now that share our unique stories around virtual campfires. The platforms will continuously change, but how we consume content remains largely the same.